This was the year of consolidation for Fenabel with the celebration of its 25 years, on August 5, where a ceremony was held at the company headquarters in Rebordosa, with the purpose of honoring the oldest employees and the oldest customer and delivering the prizes to the winning designers of the Fenabel Design Challenge, a competition launched in partnership with the Lisbon School of Design, whose objective consisted in the design and production of a chair that symbolized the 25 years of the Fenabel. For Mário Leite, CEO of Fenabel, the future of the company “consolidates its commitment to the United States market, reinforcing partnerships and agents, seeking new representations. Soon we will present the new catalog of chairs and this year we have already created 6 jobs and we anticipate new admissions “, reveals the businessman. Fenabel will invest in new equipment to make production capacity more profitable. “It is planned the investment in the purchase of new equipment, namely CNC’s and machines that allow the reduction of energy consumption,” said Mário Leite. The Fenabel’s 25 years were also marked by the rebranding of the 100% Portuguese brand of furniture that presents the new logo and new image that was in charge of the Italian creators Davide Carlesi and Gian Luca Tonelli, Area 44 Studio. The agency is a partner of Fenabel in the design and development of new products. The renovation of Fenabel’s image includes a new logo, identity design and new positioning in the market for chairs for the home and hotel segment. According to the CEO of Fenabel, “the process of rebranding arises from the need to strengthen the brand identity in a wider portfolio of seats, which also coincides with the new catalog that will be released soon. The new image of Fenabel thus aims to incorporate the new partnerships with Portuguese and foreign designers, a bet we have been making and that will be to continue in the future, “says Mário Leite. It was also awarded a donation worth 5 thousand euros (divided into articulated beds, wheelchairs and in monetary contribution) for the institution S. Vicente de Paulo Conference in the scope of corporate social responsibility. 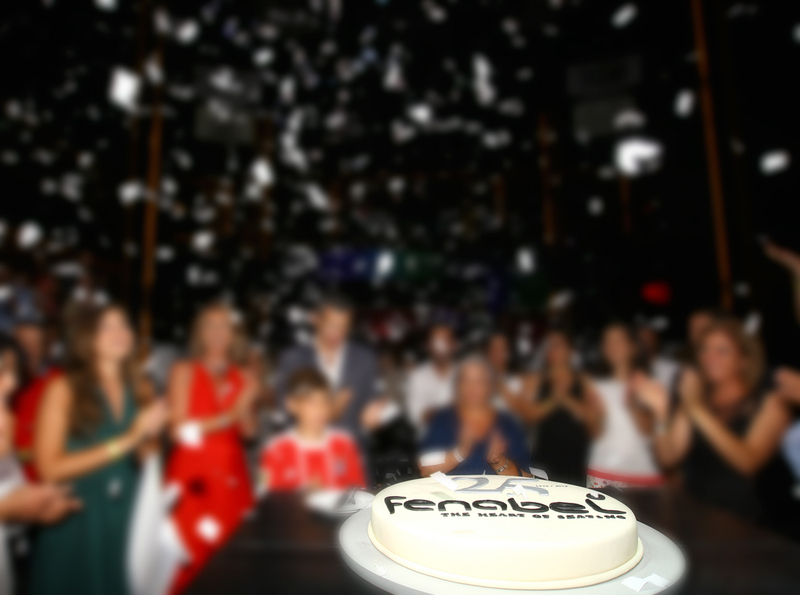 Fenabel’s birthday was celebrated with a gala dinner for employees, partners, suppliers and customers.